Fischer SRS Frame Fixing 10 x 140mm (50 Pack) is rated 4.6 out of 5 by 14. Rated 3 out of 5 by samanthawhite from just ok providing not into old mortar used to secure wall cabinet on plastered solid brick wall. used correct drill and worked fine when into the brick. however when fixing position for bracket was over motar useless and fixing just spins when tightening. surprised as plugs have anti spin tabs but didnt work. 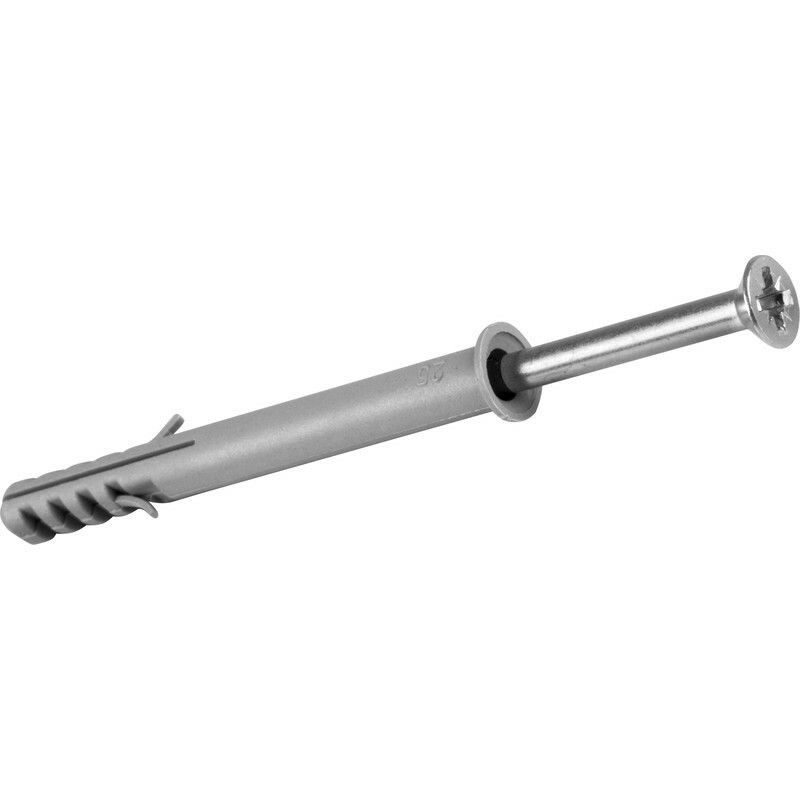 solved by finding more substantial rawplug and hammering into hole for tighter fit and finding a suitable screw. mortar perhaps old. Victorian property. Rated 5 out of 5 by Tradereviewer from Excellent Far superior to the cheap unbranded fixings. Well worth the extra pennies. Perfect for fixing window and door frames and interior door linings. Rated 5 out of 5 by Smash19 from Does what it’s meant to do... Needed frame fixings and these were just the job.. Rated 2 out of 5 by Anonymous from Poor quality. Head sheared too easily Bought these to secure stud partitions to block walls inside new extension. Heads shear too easily and often before being driven home fully. Rated 5 out of 5 by WB50 from Good Fixings Bought these to fix stud partitions to concrete floors and they done the job no bother.